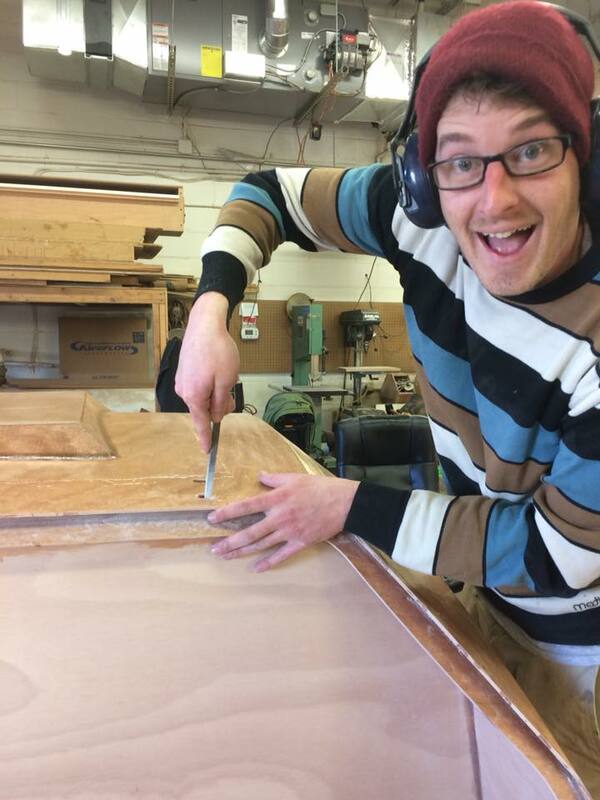 Build Your Own Northeaster Dory in One Week! Graceful round-sided lapstrake dories like this 17-footer were once the primary recreational craft on the New England coast. You’ll assemble a faithful reproduction in just a week, using plywood and epoxy. Capacity is three adults, and you can add a sailing rig after the class if you choose. 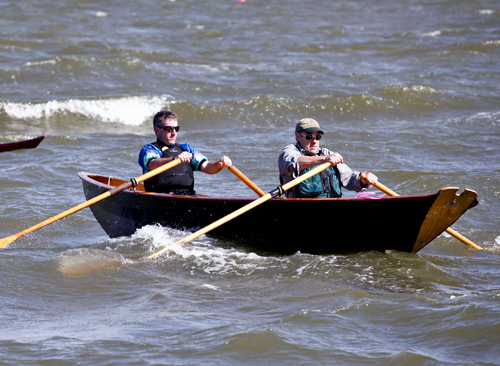 Enjoy fast rowing with one oarsman or two, or even add a sliding seat unit. A dory is a lot of boat for the money, which explains the enduring popularity of the type for 150 years or more. This John C. Harris design uses Chesapeake Light Craft's patented LapStitch process, which yields boats of 19th-century appearance but with 21st-century weight and durability. By the end of the week, hulls will be assembled, ready for sanding and finishing at home. If there's time, we'll get started on sailing rigs during the class for those who choose that option. Northeaster uses Chesapeake Light Craft's patented LapStitch process, in which pre-cut planking is assembled quickly with wire "stitches" and nothing more than a pair of ordinary sawhorses. Hull planking is 6mm okoume; the bottom is 9mm, fiberglassed on both sides and up onto the side planking. Bulkheads are laminated together from layers of 9mm plywood. Epoxied together, the hull is light---only about 100 pounds---and very strong. And with 800 pounds of displacement, this dory offers real versatility. 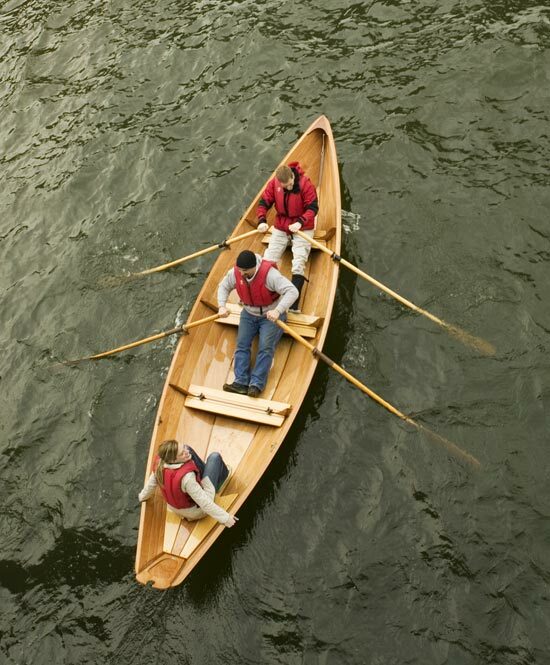 It's small enough to be rowed by one person, but big enough for tandem rowing with two adults. Like all dories, the Northeaster tracks well, has a long glide, and stays dry in waves. Even four adults have comfortable seating. 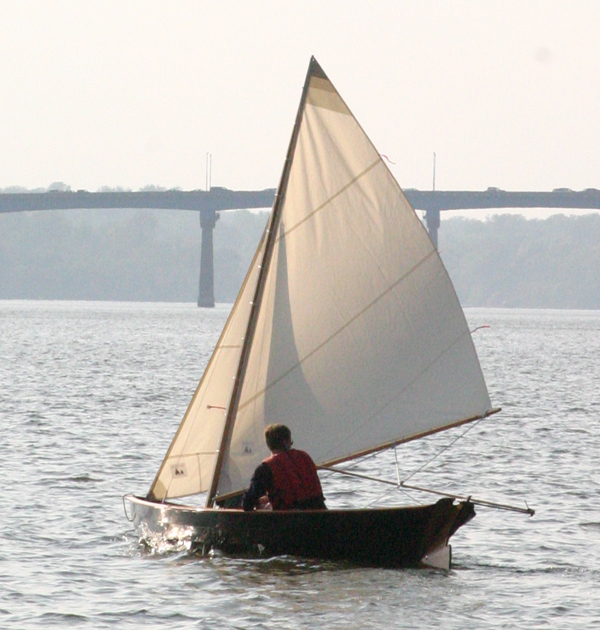 The proportions of the sailing rig follow traditional recreational dory rigs very closely. 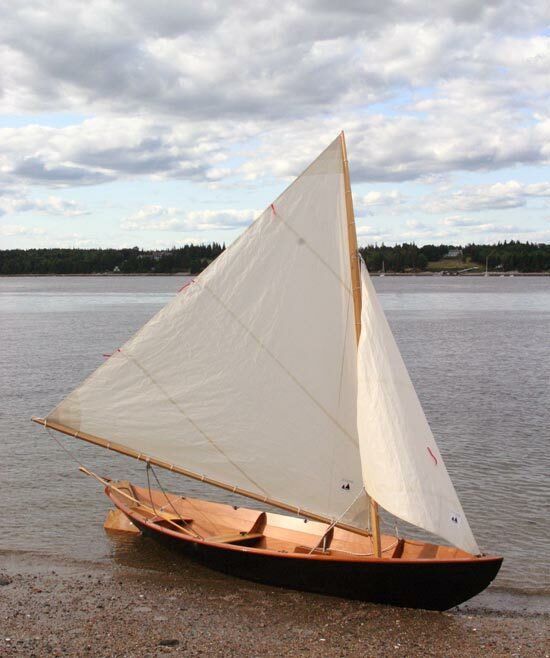 Under sail the Northeaster Dory is fast, stiff, and close-winded. Given the narrow waterline, the hull is extremely easily driven and jumps up to speed in light air---the acceleration is really noticeable. Dory sailors comment on the surprising absence of wake, visible evidence of a low-resistance hull. But like all dories, the hull flares rapidly above the water, so stability comes on strong as the boat heels under sail. Although you'll sail more slowly upwind, a convenient "first reef" is to take in the jib. Adding the "sailing upgrade" package puts the mainsail on a track for easier handling at the dock or marina, plus cam cleats for the jib for easier singlehanding.